The desire to live and work in a clean area is a natural one. Due to busy schedules and other priorities, it can be difficult to accomplish this. You may even become accustomed to dirty surfaces until you have time to see how clean they can be. Carpets are one area in your home that should be cleaned regularly. Just running the vacuum on them might seem to get the job done, but often times, that is not enough. If you would like to save your time and have your carpets cleaned to look and smell like-new, give us a call! At Carpet Cleaning for Perth, we can clean your carpets for you! Carpets absorb the dust and dirt deep into their fibres. Improper cleaning causes a greater risk to the health of your family. Gradually, it becomes the breeding space for mould, mildew and bacteria that is difficult to get rid of with a simple cleaning. For professional assistance and the best in the business, contact Carpet Cleaning for Perth in Swan View WA 6056. Proper carpet cleaning is not easy, and to most homeowners it may not be as important a priority as other obligations. We can make things simple for you and lift the burden of cleaning. We assure deep cleaning by our expert technicians who will leave the carpet looking pristine. Many of our customers have booked us for routine cleaning because we have proven to them we are trustworthy and take pride in what we do. This is one of many reasons we are the best carpet cleaning service provider in Swan View WA 6056. Your carpets need both regular vacuuming and professional cleaning. You may think that there is no need to spend money on such a service since you can do the vacuuming on your own. You should know that vacuuming just rids of loose dirt and dust, but does not take out all the germs, mould, and dust that has seeped in. Carpets need proper washing and drying, which can be attained by our professionals. Moreover, it is a matter of health to keep the carpet clean for you and your family. Carpets hold onto dirt and allergens, which can cause harm to anyone living in your house. Do not compromise your family’s health. Leave the job up to us. We have the best equipment and products to effectively clean, wash and dry your carpet so that it reduces allergens and looks brand new. No matter what type of carpeting you have or how much of your floor space it takes up, we can help you. We only hire the best technicians in the business who understands the many different types of carpets and fabrics and what kind of treatment they require. Our technicians can clean all the carpet in your home using non-toxic products that are efficient in loosening dirt and grime. We assure you that with Carpet Cleaning for Perth, you will get the best carpet cleaning service in Swan View WA 6056 at the best price. Contact us today for a free quote! Upholsteries make a house feel like a home. Whether it is a rare piece of furniture passed down to you or a modern fitting with fabric, leather or padding, they are part of your home. It is a challenging task to clean and maintain the cleanliness of your furniture. Some of them also come with traditional fabric coverings that make cleaning tough. What should you do to get these upholsteries properly cleaned? 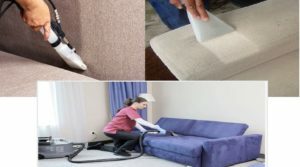 Carpet Cleaning for Perth is your ‘go-to’ upholstery cleaning service provider in Swan View WA 6056. Our professional service does not just ensure perfect cleaning, but also leave your furniture looking like new. When you consider a deep cleaning for the areas of your home, you often think about carpets, floors and walls. You may rarely consider deep cleaning your upholsteries. While you might think regular cleaning and dusting is enough, think about this: you spend lots of time on your couch. You often have beverages and snacks while watching your favourite programs. You also have guests who come to your house and use your furniture. Food, dead skin, and hair particles often imbed themselves into your fabrics. These microscopic particles may affect your health. You need deep cleaning to retain its cleanliness, longevity, and your own health. Hiring our professional upholstery cleaning service in Swan View WA 6056 will help you keep your environment clean. Furniture items will also look and feel better and last longer. It will leave a great impression on your guests the next time they come over. You may think that since many chemicals and home cleaning products are available in the market, there is no point in hiring a professional cleaning company. 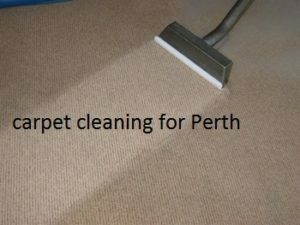 Since we are experienced in this field and know the best products and techniques, it will be worth your while to hire Carpet Cleaning for Perth for all your cleaning needs. We can remove those stains that get deep into the fibres, make your furniture look like new, and even offer you tips on how to maintain them on your own. We don’t just use the best products in the market, but also the latest equipment and techniques. You always get the result that lasts longer and increases the life of your furniture. You probably think that deep cleaning of upholstered items is expensive. If you attempt it on your own, it can be. Without the knowledge of our experts, you run the risk of damaging your furniture. We ensure detailed cleaning and consider many different factors when figuring out an appropriate cleaning plan. We check the material and its condition. We also include you in this discuss so that you can form a realistic expectation. We will perform the safest and best cleaning technique without causing any harm to the material. We do all this at very affordable price. It is one of the reasons we are well-known in the area of Swan View WA 6056.We can give you a free quote today! Just give us a call! Now that your furniture looks brand new, and your carpets smell fresh, we can also help you with the condition of your tile and grout. You may think you have clean tiles because of regular mopping, but just like the other areas of your house, your tile and grout also needs a deep, professional cleaning. Tiles and grout attract dirt, can become discoloured and look less-than-perfect. Grout is very porous in nature and can harbor harmful mould, mildew and bacteria. Getting perfect cleaning is really tough and time consuming. The experts at Carpet Cleaning for Perth will get the job done for you. We promise to give you the best tile and grout cleaning services in Swan View WA 6056. There are many tile and grout cleaning service providers in Swan View WA 6056, but it is important to find one that you can rely on. Many of our customers schedule regular tile and grout cleaning with us because they know we are skilled, reliable, and exceed their expectations every time. We can inspect the tiles and grout on your property and discuss with you the best route to go about cleaning them. Our experts will check the condition of the tile and grout and then form a plan. We want you to be a part of this process so that we can exceed your expectations. In addition, we would like to answer any questions or give you any advice on what you can do to maintain and increase longevity of tiles and grout in your home. Grout and tile often deteriorate with time and wear. Another service we offer apart from cleaning is colouring of your faded tiles. We can also sanitize and deodorize to provide you with a thorough cleaning. Carpet Cleaning for Perth will take care of all your tile and grout cleaning needs in Swan View WA 6056 and the surrounding areas. It is evident that we bring the best solutions for home cleaning whether it involves cleaning tile and grout, upholsteries or carpets. We have been in this business for several years and know how to keep our clients happy. Most of our business is generated from existing customers and their recommendations. We also provide commercial cleaning services for carpets, upholsteries, tiles and grout in Swan View WA 6056. Pick up the phone and call Carpet Cleaning for Perth. We are ready to provide the best cleaning services for your home or work.